Did you know that there are more bacteria in your gut than the total number of cells in your body? Do you know why the good bacteria - or probiotics - are good for you and how they can benefit many aspects of your health? Do you know that by following a different diet or by taking safe and effective probiotic supplements you can increase the number of good bugs in your body, with amazing results? Probiotic supplements are on their way to becoming the 21st century must-have for maintaining good health. 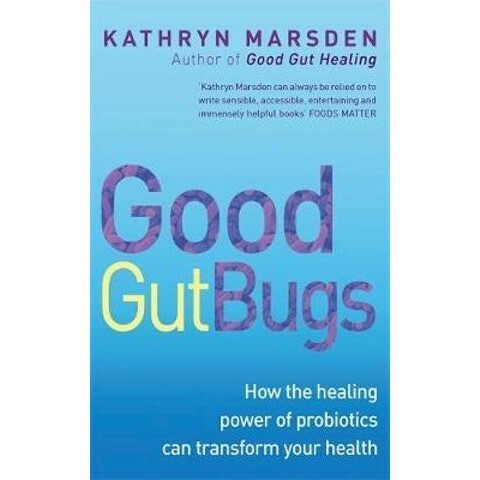 In GOOD GUT BUGS Kathryn Marsden explains that we need good bacteria to avoid, or overcome, conditions caused by bad bacteria. Writing in an accessible, lively style she reveals what probiotics do, how they work, and how simple dietary changes can allow you to benefit from them. Discover how probiotics will help you avoid MRSA, lower your cholesterol, improve the digestion, boost your immune system, calm the side effects of antibiotics, control and limit the growth of yeasts and parasites, treat constipation and ease IBS.